Is Easter really the Super Bowl for churches? Does attendance increase enough to make a noticeable difference? You bet it does! So what are you going to do about it? How are you going to encourage those annual visitors to return more frequently? Do you need a creative give away, a bribe? Well let me tell you, God doesn’t need gimmicks. He needs His church to act like a church. People need people. They desire friendships. Just go back to the garden to see this, “It is not good for man to be alone.” When you see a visitor, go to them. Talk to them. Ask them about them. Invite them to an Easter egg hunt or lunch during the week. Get their contact information and follow up! You do not need a gimmick to be a friend and this is what most people really seek! According to a study by Barna Group, only 38% of Americans say they go to church weekly. Compare that to the many other studies showing over half the population of Americans attends church services on Easter. This tell me that Americans fell some sense of spiritual obligation, but they are not finding the piece that brings them back on any given Sunday, the piece that lets them know God’s church is a family they want to be a part of. Many churches have tried creative ways to entice the non-church goers to return. They send home welcome packs, drop off a gift at their door or mail a postcard. These are great works and I think we should keep doing them, but I have yet to come across an outreach idea like these that consistently and effectively turned visitors into regular church goers. 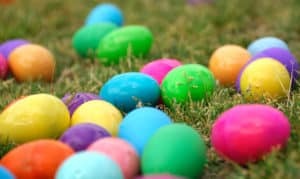 I will be providing all kids in attendance with crayons and a color sheet focused on Easter. 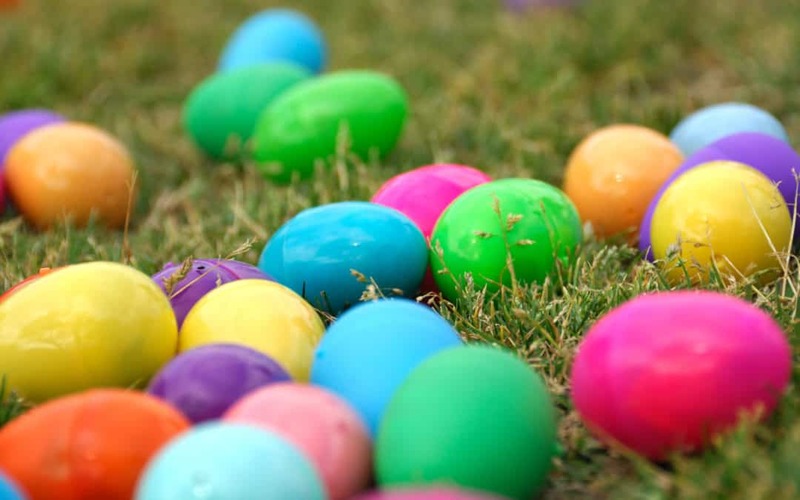 We will have an Easter egg hunt following services full of candy and goodies! But I do not expect these ideas to be what draws families back week after week. So what’s missing? Connections! Easter provides and incredible opportunity to put this theory to the test. Try it this Sunday! Talk to a visitor. Get their information and have coffee or send a note. Invite them to your small group bible study. If they have kids, send some stickers during the week showing you noticed them too. You are establishing a relationship. When people have friends they are more likely to participate. We love talking to and being with our friends. No, God does not need gimmicks. He needs us to show we are Christians by our love. Kids love having something in their hands to fidget with. Here are a couple of bible stories with foldable animal cootie catchers to go along with the lesson. Inside the giant fish is a praying Jonah (just add fish). Open up the lion to find an angel that shut the lions mouth protecting Daniel. Download, print and use today! Copyright © raisekidsforchrist. All Rights Reserved.